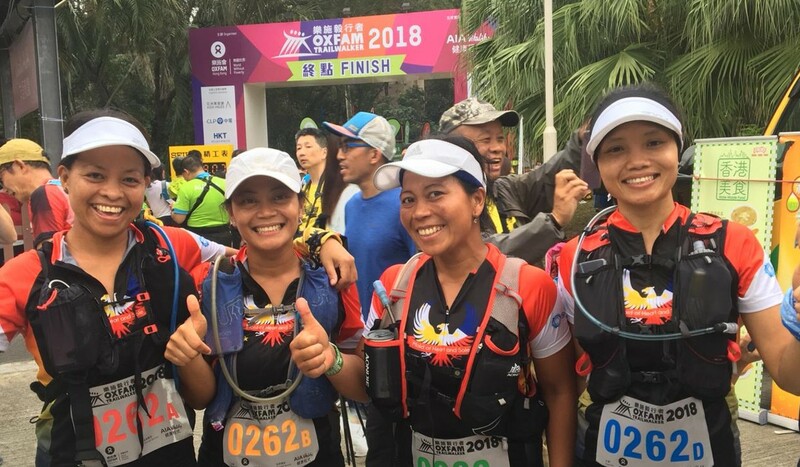 Beaming with pride, mixed with a few tears of joy, a team made up of domestic helpers from the Philippines and Indonesia finished the Oxfam Trailwalker (OTW). They achieved their goal to represent the their community by beating their target time by over three hours. Team captain Aleli Pena and first-timers Eden Marciano, Rosie Rusinah and Milkhatus Sholikah completed the 100km endurance race from Sai Kung to Yuen Long along the MacLehose trail in 24 hours and 55 minutes. “I had more fun this year compared to last year and I am really proud of my team as they really pushed themselves. It is better this year as we had more time to train and these girls are really tough,” said Fillipino Pena, who raced with a different team of domestic helpers in 2017. Their team, Maid of Heart and Sole, have been aided by helpful employers who have given the quartet time off to train and also access to gym equipment, while they also received donated equipment. “I was really struggling with my knee, because some of us are first timers we were struggling,” said Filipino Marciano. Rusinah had previously raced over 23km, 27km and 40km distances before being persuaded to step up to Hong Kong’s oldest trail race, which includes almost 5,000m of elevation gain. “It was fun but really tough. From check point nine to the finish we were really struggling and I was so sleepy on the road,” she said. Sholikah had only previously completed the team’s 52km training run, having being asked to join the team in July. “I had never done hiking or running before. I am so happy and proud of myself and my team,” she said. Oxfam Trailwalker is synonymous with participants from Nepal having begun as a training exercise for Gurkhas. 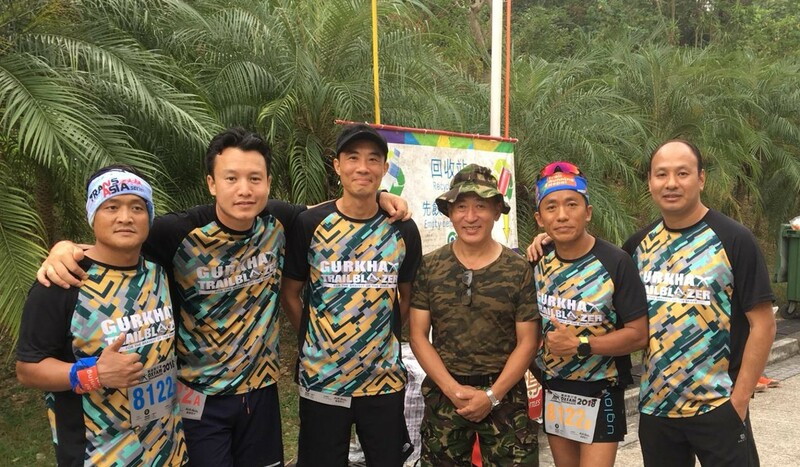 Team Gurkha Trailblazer aimed to promote Nepal’s historical ties to Hong Kong. They crossed the line in 25:22, but had hoped to be met by better news from their fellow countrymen. Darshan Shakya is the events and marketing coordinator for Child Welfare Scheme, a Hong Kong-based charity that helps fund children and education projects in Nepal. “Our race didn’t go as we planned as our target was 20 hours, but a lot of things go to into a 100km race and we were able to do it in 25 hours,” he said. “One of our team had some leg cramps so he couldn’t catch up with us. This is our first OTW as a team, and it is my first time. “This is different from other races as this is a team race, but you need to work together,” he said. 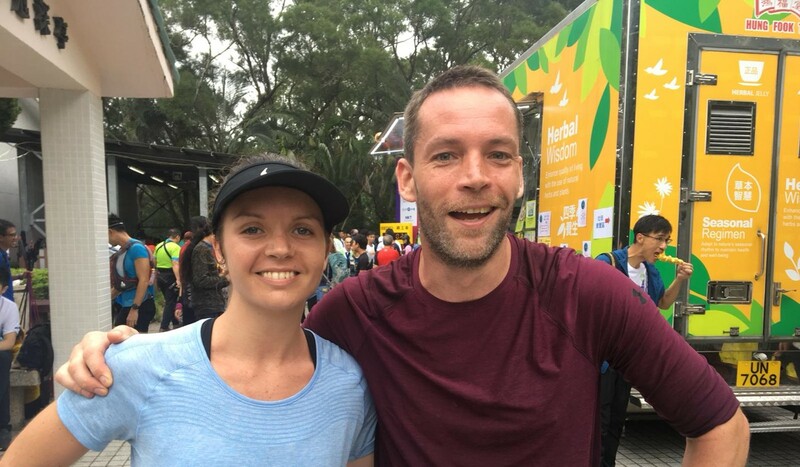 Singapore-based British duo Dan Huke from North London and Sam Dalton from Kent did beat their sub-20-hour target, although had to make the difficult decision to separate from teammates Alex Munk and Lucy Palairet. Huke, a project manager for a publisher in the Lion City, was running his third Oxfam Trailwalker. He and Dalton finished in unofficial 19:41. Dalton, a TV producer in her second Oxfam Trailwalker, said: “It was awesome, it was hard, I think I gave it everything I had. Donald Trump or Xi Jinping? 10 quotes but who said it?